BUCYRUS — Crawford County’s Cassandra Kurek (12) and Nolan K. McKibben (13) were recently awarded the 2017 Mary E. King 4-H Nutrition Award. The award is given each year to county youth who participate in an intermediate or advanced level food and nutrition project and submit an essay based on an assigned nutrition topic. The Mary E. King 4-H Nutrition Award honors the memory of Mary E. King and her dedication to educating the community on nutrition. She was theextension agent in Home Economics & 4-H Youth Development in Crawford County from 1980 until her death in 1994. Mary was passionate about youth living active and healthy lifestyles to better their futures. In coming years, the award will become part of the 4-H awards program hosted during the Crawford County Fair and will be awarded in Memory of Mary E. King to one youth in an intermediate or advanced food & nutrition project. 2017 award winner Cassandra Kurek, has been in 4-H for six years and recently enrolled in Let’s Bake Quick Breads 4-H project were she placed 1st at the county fair. Cassandra had the opportunity to then display her project at the 2017 Ohio State Fair were she received an Outstanding of the Day award. When asked in her essay, how will eating healthy now affect your body in the future, Cassandra used her passion of baking and science to share the science behind why food was nutritious and how it can make a major difference in a person’s health. 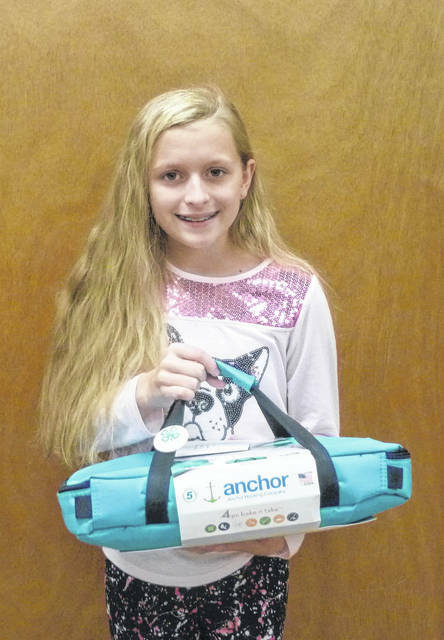 Cassandra stated, “I enjoyed learning throughout my 4-H project, and can’t wait to do another food and nutrition project for 4-H”. 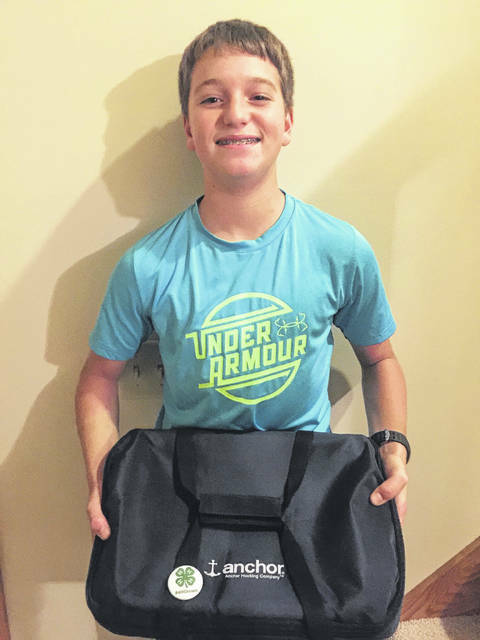 2017 award winner, Nolan K. McKibben, has been in 4-H for five years and recently enrolled in the Grill Master 4-H project were he placed 1st at the county fair. Nolan also had the opportunity to then display his project at the 2017 Ohio State Fair were he received an Outstanding of the Day award in his division. When asked in his essay, changes in nutrition he planned to make to improve his health, Nolan made a plan of attack to keep healthy. He stated that he planned to make a few changes in his daily eating by including each element of MyPlate to every meal, eat out less, and cut back on desserts. He ended with “Moderation is the key to a healthy lifestyle”. Congratulations to both Cassandra and Nolan for choosing to make their lives healthier and thank you for sharing your success with others.